See more Robert Lee Morris Bracelets. We check over 450 stores daily and we last saw this product for $55 at Macy's. 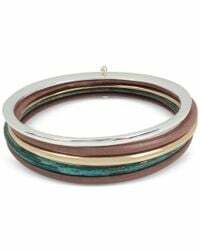 Mix-and-match to create ultra-hip combinations with this totally cool two-tone and colored patina five piece bangle bracelet set designed by Robert Lee Morris Soho. 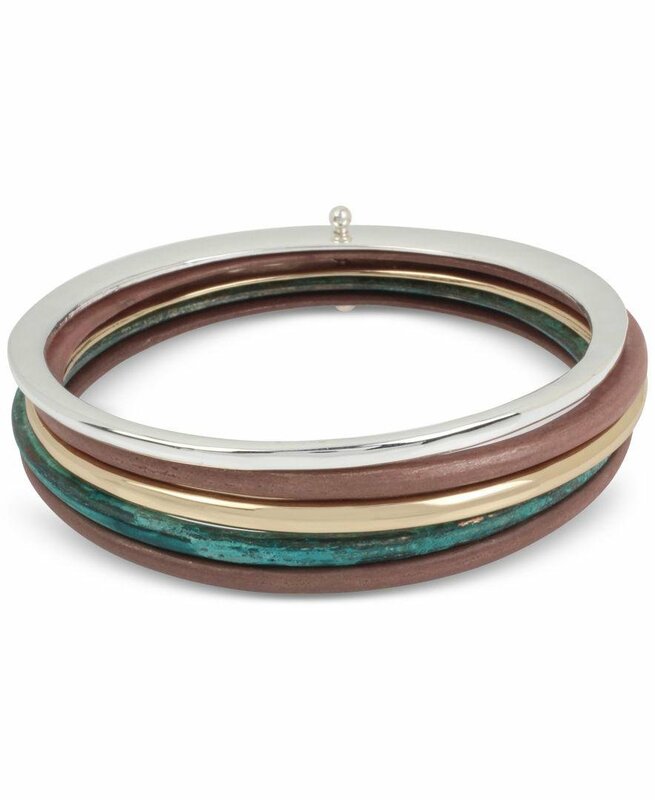 Featuring gold-tone and silver-tone mixed metal detail. Approximate diameter: 2-1/2". Disclaimer: Photo may have been enlarged and or enhanced.